What Is the SABS? What Does the SABS Do? Home » National Building Regulations (SA) » SANS 10400 » NHBRC » What Is the SABS? The South African Bureau of Standards (SABS) was established in terms of the Standards Act, 1945 (Act No. 24 of 1945) and now operates under the latest edition of the Standards Act, 2008 (Act No. 29 of 2008). This national body promotes and maintains the standards and quality of all commodities and services that are available in South Africa. The SABS maintains a database of more than 6,500 national standards, and as part of it’s mandate it develops new standards and reviews and amends standards as well as withdrawing existing standards if needed. The SABS experts also represents South Africa in the development of international standards, in co-operation with other groups such as the International Organization for Standardization (ISO) and the International Electrotechnical Commission (IEC). South Africa was a founding member of the ISO and has an involvement with these bodies for many years. The SABS is the holder of the regional Secretariat for the standardisation body for the Southern African Development Community of 14 nations (SADCSTAN). On a commercial level the SABS does certification, testing, consignment inspection and other services, mostly to industry. Besides doing product testing and systems certifications that must meet the requirements of South African National Standards (SANS), the SABS also awards the SABS Mark of Approval – this is a internationally recognised icon in South Africa, assuring buyers that products that have this mark are fit for the purpose and are safe, they also offer remedy and redress. The SABS used to regulate the standards industry in South Africa until they split the regulation function and the standardization function into two and formed the National Regulator for Compulsory Specifications (NRCS), this was made law by the promulgation of the new Standards Act and the National Regulator for Compulsory Specifications Act in September 2008. This new organisation now resides under the Department of Trade and Industry. Headquartered in Groenkloof, Pretoria, the SABS also maintains offices in Durban, Cape Town, Port Elizabeth and East London, and operates specialised facilities at Richards Bay, Secunda, Middelburg and Saldanha. With the opening of the SABS representative office in Shanghai, China, during April 2009, the SABS expanded its international footprint to 46 countries. The SABS is accredited by both the South African National Accreditation System (SANAS) and the Raad voor Accreditatie (RvA) of the Netherlands. Part A: General principles and requirements. Part O: Lighting and ventilation. Part Q: Non-water-borne means of sanitary disposal. Part S: Facilities for persons with disabilities. 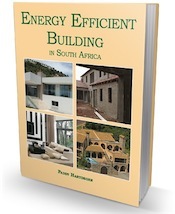 Part XA: Energy Use In Buildings. There are other SANS that must be adhered to when building, this article only refers to the SANS 10400. These Standards have to be adhered to by law. And the law is the National Building Regulations, known as the National Building Regulations and Building Standards Act, 1977 (Act No. 103 of 1977). These are the laws that enforce the standards and all building inspectors around South Africa are mandated to strictly enforce them.